Huge 3rd Shot Net Rushing Mistake | Getting crushed by the Drive & Rush? 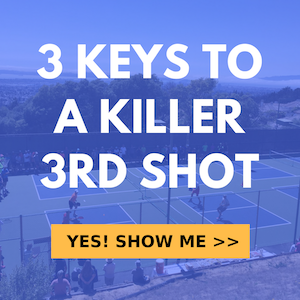 In this video, we show you a mistake that we see happening ALL the time by both beginning and intermediate pickleball players. It’s a big one and there’s a good chance you are losing many points because of it. The good news is that there’s also a super simple fix since it requires a strategic adjustment which are much simpler to implement than a technical change. All it takes is a decision to stop doing it and to do something else instead.